Less than 24 hours after the Pixelbook saw a $300 discount at most major retailers, Amazon looks to be out of the base 128GB model but fear not, you still have plenty of options to score major savings on Google’s premier Chromebook. Best Buy and Google are still selling all three builds of the Pixelbook with the $300 discount but options aren’t necessarily a bad thing so here’s a few more. Maybe you have a Walmart gift card that’s been burning a hole in you’re pocket or perhaps you want to physically pick up your new Pixelbook in a brick and mortar store. Whatever your reason, here are a few more spots to snag the Pixelbook and a couple of them could save you a little extra depending on where you live. If you shop Walmart on the web, you are probably aware that they have a massive network of partner companies that sell and ship product through their online storefront. One of those is the very popular Electronic Express. Based out of Tennessee, Electronic Express doesn’t charge tax on most orders placed outside of Tennessee unless required by the destination state. Combine that with free shipping and you get some extra savings that could go towards stocking stuffers or maybe a Pixelbook Pen. The only drawback is that you can’t choose in-store pickup at your local Walmart as they are fulfilled and shipped by the partner store. BH Photo out of New York is consistently an official outlet for #MadeByGoogle products and therefore carry the same deals found at the Google Store, Amazon and Best Buy. However, like Electronic Express, they do not collect tax outside of NY and NJ. They also happen to have the Pixelbook Pen discounted to $82. Savings is savings, right? If you happen to be in or around the NYC area, you can pick your new Pixelbook up in the massive electronics showroom. It’s a sight to behold for sure. Update: It appears BH Photo has updated their tax policy to comply with the new standards set by each state. You will have to enter your zip to see if you are paying tax. Last but not least, ABT Electronics is another official outlet for the Pixelbook and like BH Photo, they only collect tax from certain states. 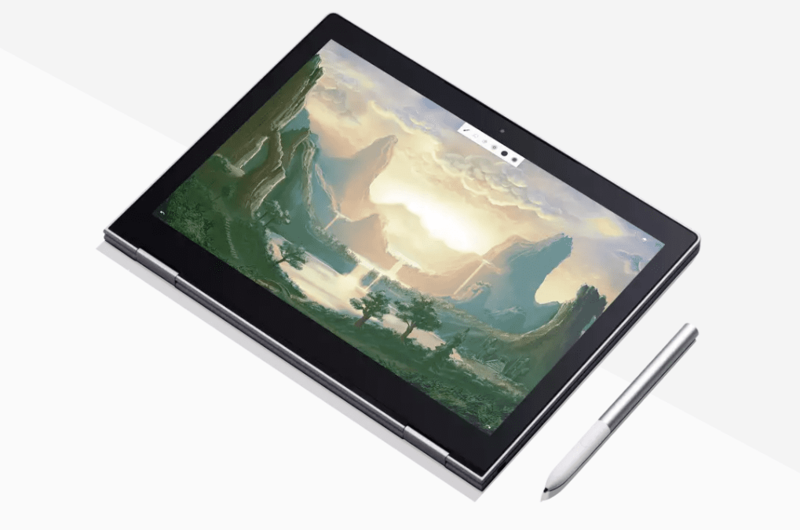 Their list is a bit long for those who will have to pay tax thanks to recent tax law changes affecting online purchases but you can still snag $300 off a Pixelbook and they even bested the competitors buy pricing the Pen at $81.78. Well played. Most of these deals should last until Black Friday and even through Cyber Monday but that doesn’t mean supplies will do the same. Disclaimer: I am not a tax expert and I am not advising anyone avoid paying taxes on out of state purchase. What your report on your taxes at the end of the year is on you and I will not take responsibility if you chose to forgo claiming the purchase.